The OAS, the Ministry of Foreign Affairs of Colombia and EAFIT University of Medellin, with the support of Universidad del Norte (UNINORTE) of Barranquilla, are organizing a National Model OAS General Assembly (MOAS) for university students. The MOAS is a simulation the OAS General Assembly where through role-playing the students represent each of the OAS Member States of the OAS. The MOAS is designed to promote democracy among the youth of the Hemisphere by familiarizing students with the work of the OAS, while at the same time they learn about important current issues affecting the Western Hemisphere. In 2007-2008 the Young Americas Business Trust (YABT) held the second Talent and Innovation Competition of the Americas (TIC Americas), an opportunity for young people to present their business-related ideas to a diverse international audience. The private sector plays a key role in creating jobs and prosperity, and the OAS therefore supports the business community’s efforts. 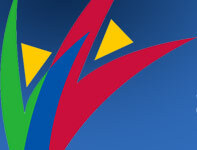 In this regard, the OAS, in conjunction with the Government of Colombia and business leaders in the Hemisphere, is organizing the forum "Good Governance for Development and Competitiveness in the Americas: the Role of Public-Private Partnerships.” The recommendations of the forum will be transmitted to the OAS member state governments on June 1 during the dialogue of the heads of delegation of the General Assembly and the OAS Secretary General with private sector representatives. Colombia will have the honor of commemorating the 60th anniversary of the OAS Charter, signed in Bogotá in 1948. To mark this occasion, the Ministry of Foreign Affairs, in collaboration with Medellín’s EAFIT University, will hold an academic forum on “Democracy’s New Actors” at that university on May 31 from 9:00 a.m. to 2:00 p.m. That evening, the President of the Republic, Mr. Álvaro Uribe Vélez, will host a gala dinner for the ministers of foreign affairs, high-ranking officials, official delegations, and private-sector representatives of the OAS member countries in Medellín’s Orquideorama. Hotel Intercontinental, Medellín: June 1, 2008, 08:00 - 09:00 a.m. 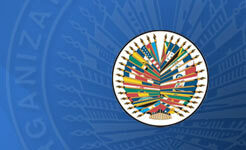 The ministers of foreign affairs, heads of delegation of the OAS member countries, and the Secretary General, José Miguel Insulza, will meet with the heads of delegation of the permanent observer countries to discuss the theme of the General Assembly and other matters of common interest, including economic cooperation. For more information, please contact Irene Klinger (iklinger@oas.org; tel. : 1 (202) 458-6072). Plaza Mayor Convention Center, Medellín: June 1, 2008, 9:30 a.m. – 10:30 a.m. The purpose of the dialogue among the ministers of foreign affairs or the heads of delegation of the OAS member states, the OAS Secretary General, and civil society representatives is to exchange experiences and generate recommendations for consideration by the heads of delegation in their ongoing deliberations at the General Assembly session. For more information on the requirements for participation in the dialogue, please visit the Summits Secretariat Web page: www.civil-society.oas.org. Plaza Mayor Convention Center, Medellín: June 1, 2008, 10:45h a.m. - 11:45h. a.m. Resolution AG/RES. 2315 (XXXVII-O/07), “Participation of Workers’ Representatives in Activities of the Organization of American States” invites the workers’ representatives to hold a dialogue with the ministers of foreign affairs, prior to the inaugural sessions of the OAS General Assembly and the Summits of the Americas, so that said representatives may make recommendations and proposals for initiatives related to the theme of the General Assembly or the Summits of the Americas. The OAS General Secretariat has held consultations with the Trade Union Technical Advisory Council (COSATE), a consultative organ of the Inter-American Conference of Ministers of Labor, and has extended invitations to workers’ representatives in each of the member states. If you would like more information regarding this activity, please contact Maria Claudia Camacho, at the Department of Social Development and Labor. Plaza Mayor Convention Center, Medellín: June 1, 2008, 11:45 a.m. - 1:00 p.m. The heads of delegation attending the thirty-eighth regular session of the General Assembly will also meet with private-sector representatives in a dialogue chaired by the Minister of Foreign Affairs of Colombia, Fernando Araújo Perdomo; the OAS Secretary General, José Miguel Insulza; and the OAS Assistant Secretary General, Ambassador Albert Ramdin. The representatives of the private sector will report on the recommendations made at the V Private Sector Forum. ©Copyright 2008. Organization of American States. All Rights Reserved.